This ministry, administered by The Board of Deacons, has been serving the Antrim Bennington communities for over 25 years. 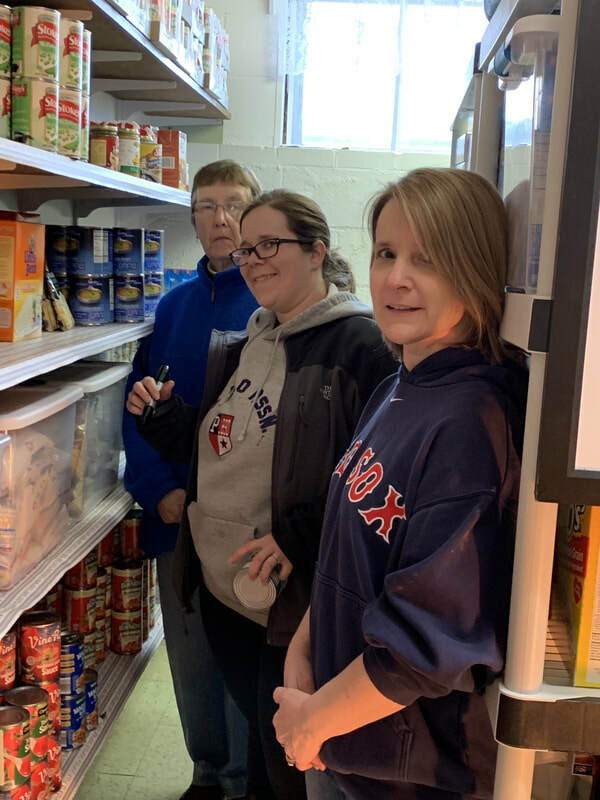 Open on Saturday mornings from 10:00 am to noon and Tuesday evening from 6:00 - 7:00 pm, this community supported pantry offers staple foods to any one who finds themselves in an emergency situation. It is available to residents of Antrim and Bennington. Donations of non-perishable food, fresh vegetables and monetary contributions are always welcome. Troop 2 did it again with the collection of canned goods totaling 2,250 items to keep our pantry stocked! Thanks to all for the donations, the collections and the help putting it all away! Make a donation to the Antrim Bennington Food Pantry today!